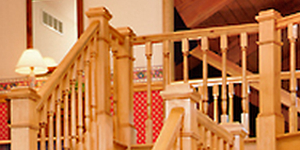 Stair Components – Cherokee Wood Products is proud supplier of LJ Smith stair components, as a lead manufacture of stair components they offer a large variety of styles, sizes and hardwoods to choose from. 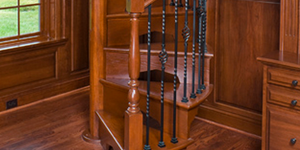 LJ Smith’s stair components is comprised of a complete line of newel posts, balusters, stair treads and risers as well as handrails and fittings to match. 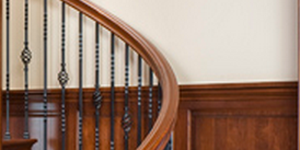 Choose from a wide array of Hardwood Handrails. 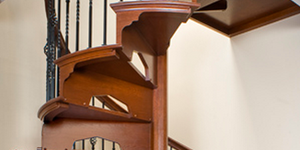 Choose from a wide array of Hardwood Newel Posts. Choose from a wide array of Hardwood Boxed Newels. 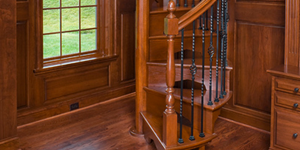 Choose from a wide array of Hardwood Stair Treads. 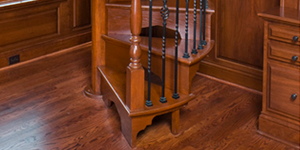 Choose from a wide array of Hardwood Raiser.